Jilt can automatically create one-time use coupon codes so each customer receives a unique code. You can have peace of mind that the coupon is not being shared across coupon forums. 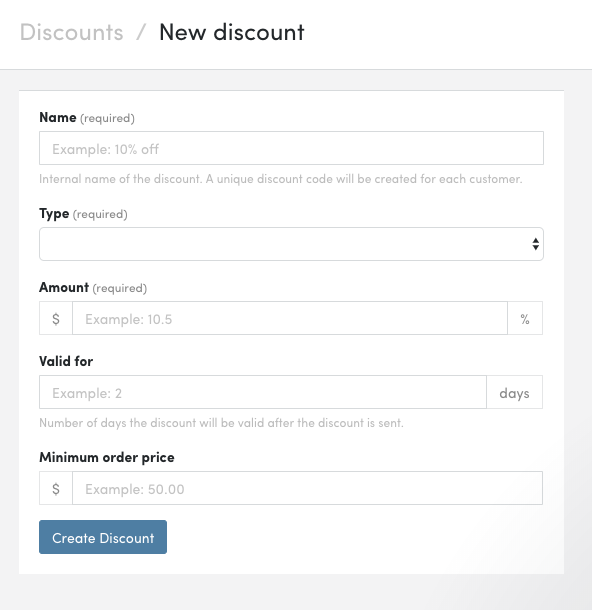 Plus, Jilt takes care of syncing the discount to your store, with all of it's settings (eg. minimum order amount and expiry date). You don't need to add any other discounts to your store's discount or coupon list, or make any adjustments manually. 1. Log into your Jilt account and select the Discounts menu item. 2. 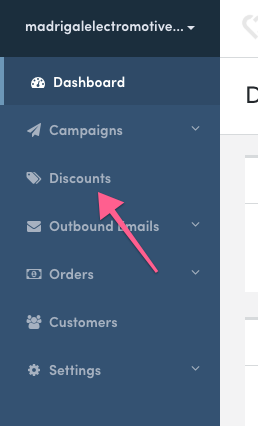 Now click either the +Create your first discount or +New discount button. 3. For each discount, you can set the below properties.